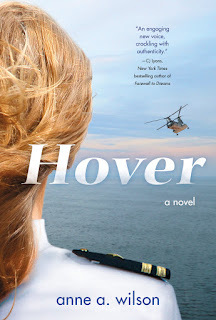 The Page 69 Test: "Hover"
Anne A. Wilson was born and raised in Phoenix, Arizona. She graduated from the U. S. Naval Academy in Annapolis, Maryland, with a degree in ocean engineering, followed by nine years of active duty service as a Navy helicopter pilot. Following her military service, she worked for four years in the semi-conductor industry, and currently, owns a triathlon coaching business, Camelback Coaching, with her husband, now in its twelfth year of operation. She lives in Fountain Hills, Arizona with her husband and two sons. “So then what?” Em says. I’m giving her the play-by-play of my stay on the Lake Champlain following a tortuously long day. The check flight for Sabercat 55 took a full thirteen hours to complete, all sitting next to a live wire in Commander Claggett. Entering the empty wardroom, I make a beeline to the counter that supplies bread, peanut butter and jelly. I put together a sandwich, fill a glass with lemonade, and drop into a wide, stainless steel chair—one of thirty or so positioned on either side of seven long, rectangular tables. Having just departed the Lake Champlain, I gain a new appreciation for the ample size of our wardroom. Our tables are arranged end-to-end to form a U shape, filling the middle of the space. A lounge area with couches and a TV occupies the far corner. There’s even room for a sizeable salad bar. Steel blue-gray dominates—the color of the heavy duty plastic table coverings. The chairs are a lighter shade of gray and this all contrasts not so nicely with bulkheads painted a stale yellow-cream, just like our stateroom. I stare ahead at nothing as I eat, my mind crowded with images from my stay on the Lake Champlain. I’m so wholly engrossed in my thoughts that I don’t notice the arrival of the ship’s operations officer. I rely heavily on dialogue to tell my stories, so page 69 is “rare” in that descriptive paragraphs occupy a greater amount of real estate than the words within quotes. Having said that, though, page 69 does give a glimpse into my insights about life on a U. S. Navy ship and the inner workings of a U. S. Navy battle group. I served in the navy as a helicopter pilot for nine years active duty. And since living and working in a navy battle group is not something most people get to experience, I feel I’ve been granted the opportunity to bring my readers into this unique place and give them a taste of what it’s like. 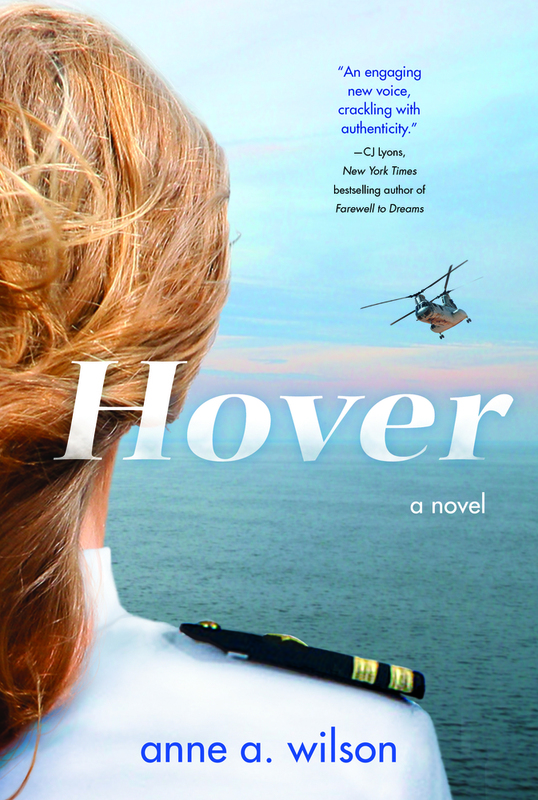 In this scene, the main protagonist, Sara, who is a gifted helicopter pilot, has just returned to her ship, the USS Kansas City, after spending two nights on the guided-missile cruiser, USS Lake Champlain. An aircraft malfunction forced an emergency landing of her helicopter on the deck of the Lake Champlain, so now, she’s recalling her experience to her roommate, Emily. Normally, the back and forth banter between Sara and Emily is snappy and quick and the pages fly when these two are at it. But on this occasion, Sara needed food fast, so she darted to the wardroom to grab a snack. The wardroom on a ship is where the officers eat, so I offer a brief description of what a wardroom looks like. The reader is also introduced to the operations officer on the ship, a person Sara is clearly not happy to see. For me, the jury is out on this one. If someone was skimming, I’m not sure they’d be compelled to read the whole book after reading page 69. I would probably answer differently if we were talking about the pages just before or just after. If they could read these pages, the reader would learn of a romantic plotline and a Navy SEAL mission. But since it’s page 69, I would hope that it’s enough to pique the reader’s interest, and that it’s written in such a way that the reader would know they’re in good hands, and that they’re going to receive an authentic glimpse of life on a navy ship. "Even When You Lie to Me"
"The Sign of the Cat"
"The Far End of Happy"
"The Ways of the World"